We would like to bring the history to you. 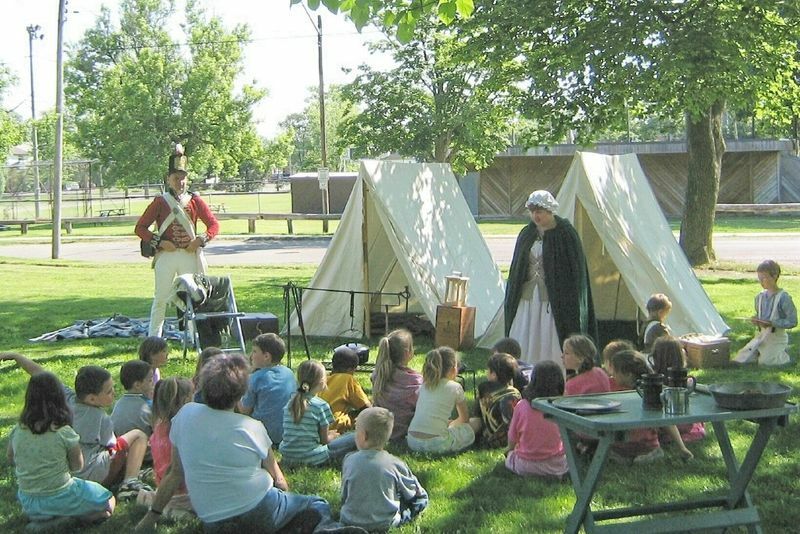 CMHS members are often available to visit your historic site, schools, fairs, trade shows, or conferences. 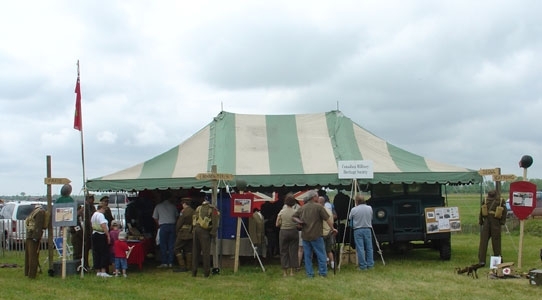 We can offer presentations or static displays for each of the time periods we re-enact, and they can be tailored to meet your needs. Presentations can take the form of a simple desktop display, a table/booth at a conference, a short classroom presentation, or a small outdoor encampment for students to visit. Member/representatives from the period will be there to make a presentation, or simply to answer questions as they arise. If you are interested in having members of the CMHS attend your school or event with a display, please contact us by email or call 905-650-7022. The CMHS does not charge a fee to schools in the area. Other organizations may be charged a small fee to cover expenses or may wish to make a donation instead. The CMHS is working on building a complete Mobile Museum that includes a CMP C15 GS Truck and a Model T 1917 truck that can deliver a hands on museum to local schools, historic sites, and community groups, events and organizations with crates of period equipment, supplies, uniforms, personal items, etc. The Society has joined with Port Colborne High School to begin restoration on the CMP C15 GS Truck. Please visit our restoration page to follow its progress. Once completed, the vehicles will be the focal point to the mobile museum and give the CMHS Museum its mobility. Schools will benefit from having their students experience a hands on method of learning history. 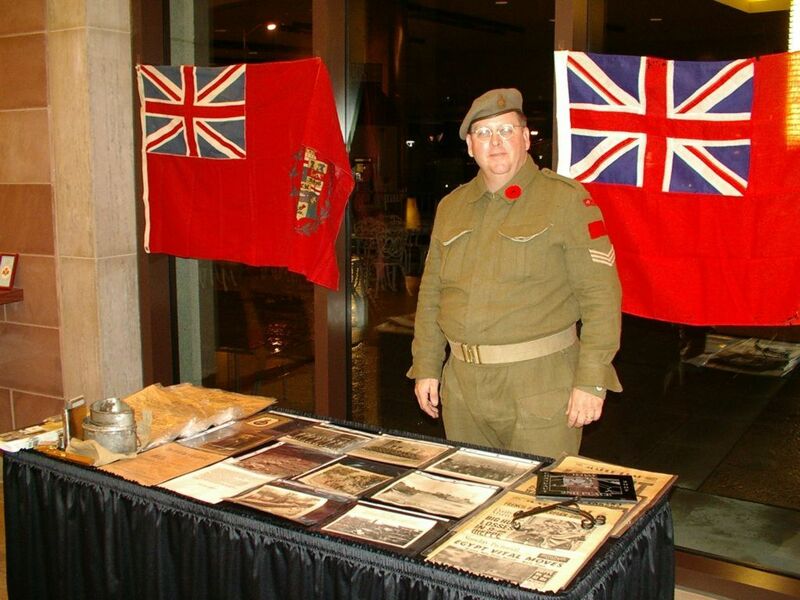 Uniforms and equipment will be available for children to try on and have a little idea of what it was like to be a soldier that served in The Great War or WW2.